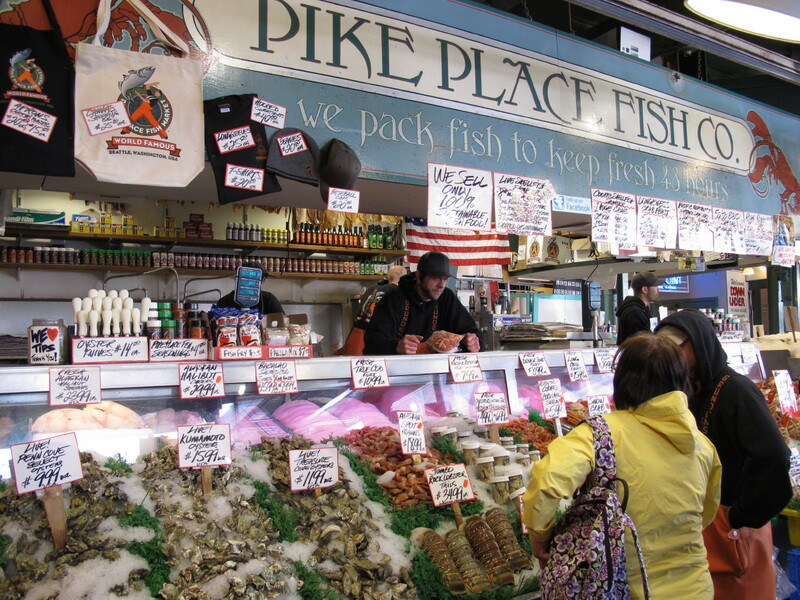 After being in Port Townsend for nearly two months, I hadn’t been to Seattle since A&C took me along with them on one of their apartment scouting trips back in early May. Since I had wanted to check out some of the neighborhoods and apartments myself, I finally just picked a day with a good weather forecast and drove the car to Bainbridge Island (an hour from PT) and then took the ferry to downtown Seattle. Because of the cost of taking the car on the ferry (~$26 round trip), many people opt for the passenger – only option ($4 round trip) instead. 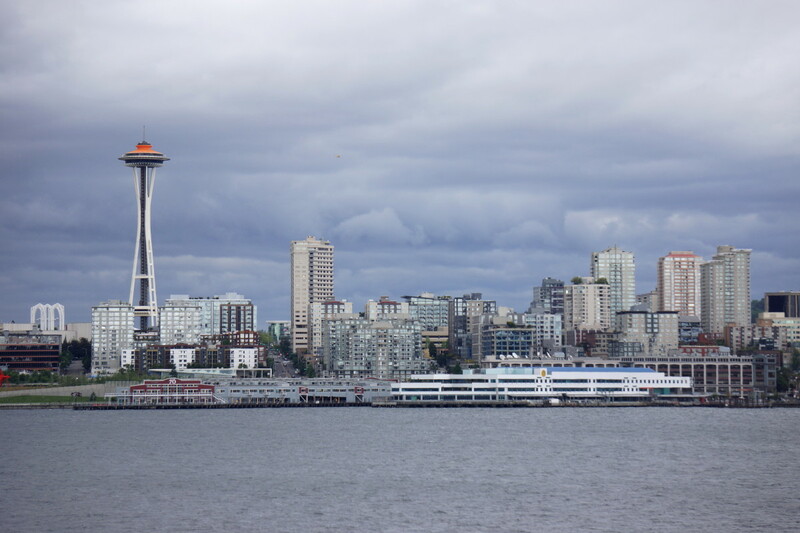 Since I wanted to drive around through some of the neighborhoods, I took the car – a fact that I regretted not soon after arriving in Seattle. 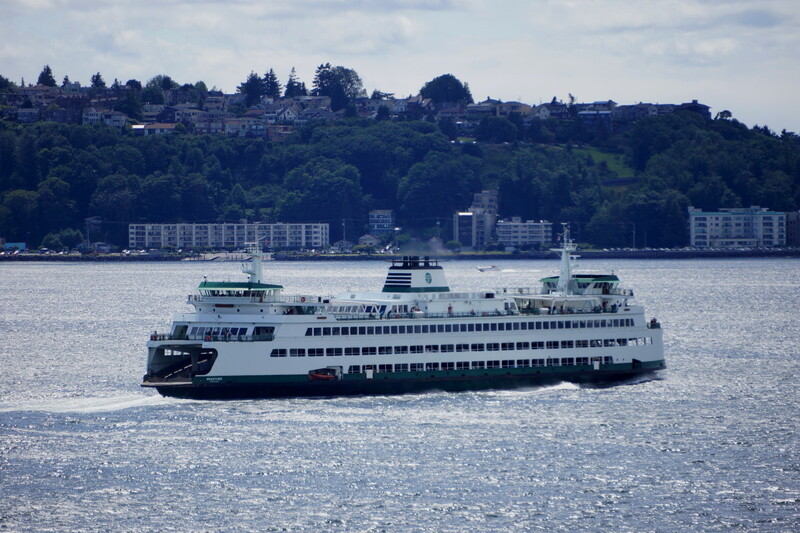 The ferry ride from Bainbridge is about thirty minutes long and makes for a very pleasant experience, especially when the weather is nice. You can stay in your car if you’d like (which you can’t do on the ferry ride from Port Angeles to Victoria, a ninety minute trip, over “open” waters for part of the journey), or you can find a comfortable seat inside the ferry’s passenger section and read the paper or amuse yourself with your iPad, or you can stroll along the deck and enjoy the views and crisp cool harbor breezes. It didn’t take long after I departed the ferry terminal in downtown Seattle before I wished I had used the passenger – only option. Seattle, like a certain other coastal city, San Francisco, has lots and lots of steep hills. Normally this wouldn’t be a problem if you were driving a car that had automatic transmission AND was operating properly. The car I was driving did have an automatic transmission, but when I stopped at a stoplight, midway up a hill that seemed to have a 75 degree slope, I noticed that the engine appeared to be idling somewhat irregularly and then, when the light changed … well, that was when my heart started racing as the car hesitated and started rolling backwards a little. Of course, I was a little freaked out (there were cars directly behind me) and punched the accelerator. Much to my relief, the car finally lunged ahead but the same hesitation occurred at every light on all of the steep hills. Finally, after getting to a fairly level street with available parking (which hard to find in Seattle), I parked the car and hoofed it for most of the rest of my visit, feeling more relaxed knowing that my ride back to the ferry terminal would be downhill.